Does not keep a hunt saved for more than a couple minutes. Please fix!! Just crashes when you try to open the app. Won't even load just acts like it wants to start then crashes. Won't open and then just locks up my phone. 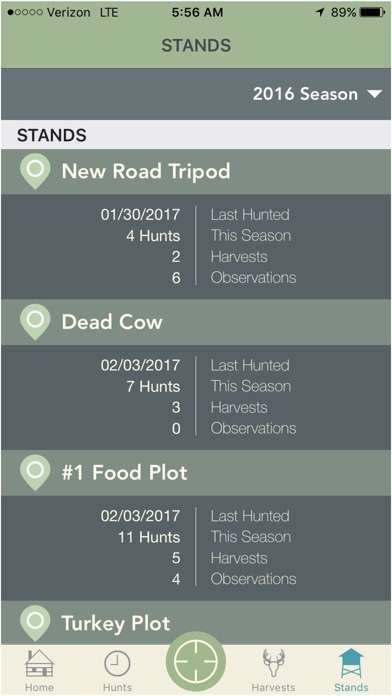 I didn’t think that we needed any kind of app for hunting our property - there’s only 3-5 of us hunting at any given time during the season. A friend told me about the free trial last season, so we decided to try out Huntlog. Didn’t see anything very beneficial about it at first, but after we had about 4 hunts in and finished setting up all of our stands, I started seeing some pretty interesting info about our property that we had either forgotten about or didn’t realize at all. For example, we’ve got a stand on the back side of the property that’s been inactive for a few years - mainly because it’s hard to get to, but also because it’s not usually a good wind direction and the fire lane it’s on has limited sight distance. But that stand kept popping up in the prime stands page in the app. So, one morning hunting with my son, we took a chance and set up there. That morning, I was able to bag a 205 lb. 10 point (rare on our property) with my boy. If I could post a screenshot from my harvests page, I’d prove it. 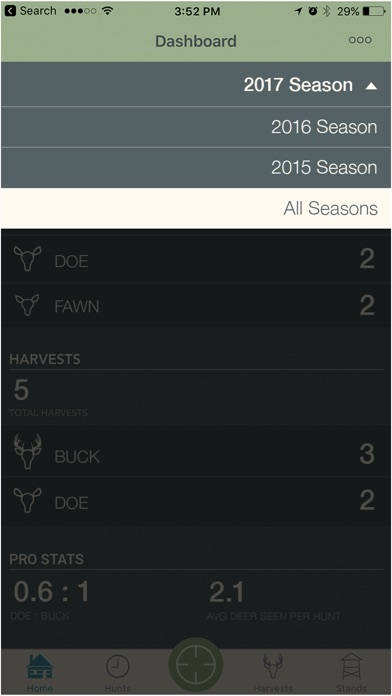 I think we will definitely be using Huntlog this season. 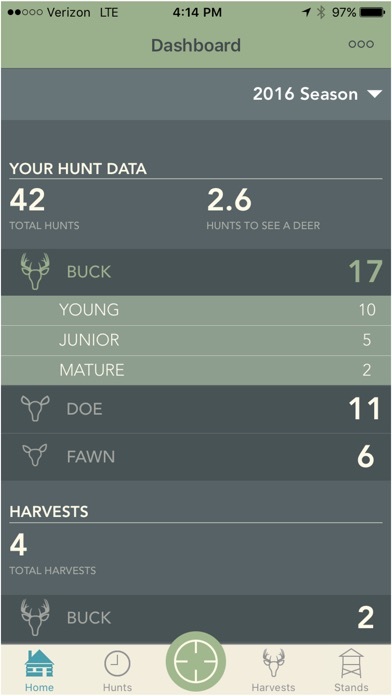 Another thing is that after the season had ended, I looked through all of our stats and was impressed at how detailed and clear a picture the app was able to generate of our deer herd. We’re going to need to cull some does this season and see if that improves our doe:buck ratio. Hope that brings some big ones back to our property! I am so glad someone developed this app. Just in time for bow season! 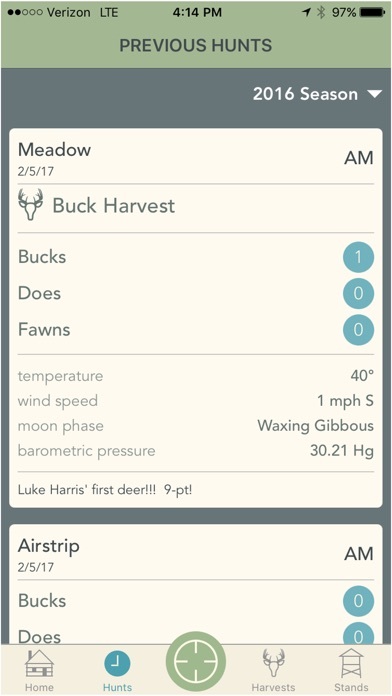 The app provides a way to keep up with the details of each hunt. You can automatically identify trends of your hunts. 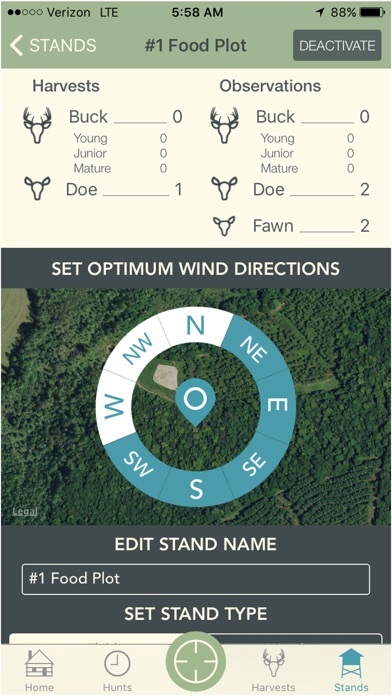 The app provides helpful input on planning how, where and when to go hunting. Also allows me combine my hunts with others in my hunting club.